The distinctive pattern, with it's rich wooden beige White Oak marble, is sure to create a lasting dash of sophistication to your home for many years to come. 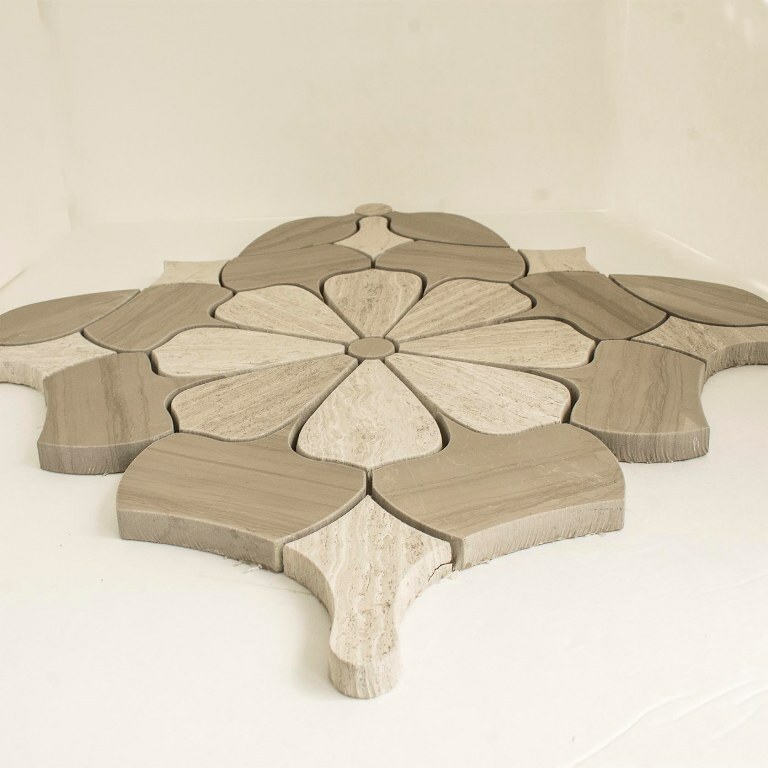 Daisy Beige Waterjet Mosaic is blended with Athens Gray and White Oak Marble to get this gorgeous and an eye pleasing design. This creates the next luxurious entry in our Waterjet collection. The distinctive pattern, with it's rich wooden beige White Oak marble, is sure to create a lasting dash of sophistication to your home for many years to come. Due to the nature of stone, variations in color and veining may occur. This is the natural beauty of the product.